Brandon is President of Bradshaw & Weil, Inc. and has been in the insurance business for 27 years. 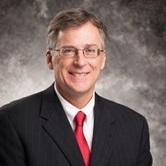 He became a Certified Financial Planner™ in 1998 and has connected insurance and Financial Planning through Bradshaw & Weil, Inc. ever since. With all of the economic turmoil in the markets, the country, and all around the world, it’s more important now than ever to keep your wealth safe and secure…but also growing. And Brandon is the person that can assist you in making that happen. More importantly, Brandon's mission is to help you avoid losing money and build your wealth safely and securely. Regardless of your financial situation, Brandon can get just about anyone on the right path to become an educated consumer and be able to sleep well at night. Brandon is originally from Marshall County but has resided in Paducah for over twenty years with his wife, Janet, and twin daughters, Jenna and Allie. He enjoys golfing and watching Kentucky Wildcats & Murray State Racers sporting events.